This review contains spoilers. To view the spoilers, drag your mouse over the black text. I'm Suzy Puttock (yes, Puttock with a P), fourteen years old and a total disaster magnet. My life's full of ups and downs. My loved-up big sister Amber's getting married and wants lime green bridesmaids' dresses. I'm not happy about that. But there's this hot new guy, Zach, just started at my school. I am happy about that. Only...I've had a boyfriend since forever, Danny. So now I'm all kinds of confused! 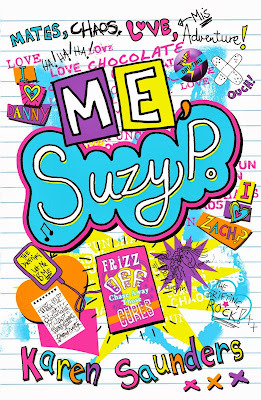 'Me, Suzy P' is a hilariously cringe-worthy book which centres around - yep, you guessed it - Suzy P. Suzy is a walking disaster area, which is proved within the first ten pages when she slides onto a football pitch in the middle of a game and accidentally tugs someone's shorts down in front of everyone... Suzy has to deal with two sisters who are both different kinds of crazy. Her big sister Amber is bridezilla and her little sister Harry is always up to something, whether it's putting a bucket of ice water on Suzy's door or creeping everyone out with fake eyeballs! Suzy is great. She gets into a lot of embarrassing situations (I can definitely relate to that...) and she's really funny. I felt so sorry for her at times, like when she found out she had to wear a lime-green bridesmaids dress, and when Zach dumped her in front of Danny. Which brings me on to Zach. What an idiot. I thought he was really nice at the beginning but it was soon obvious that that wasn't the case. I also really liked Millie, Suzy's best friend. She was really energetic and hyper all the time yet always there for Suzy. This book really was everything I'd hoped for and more! 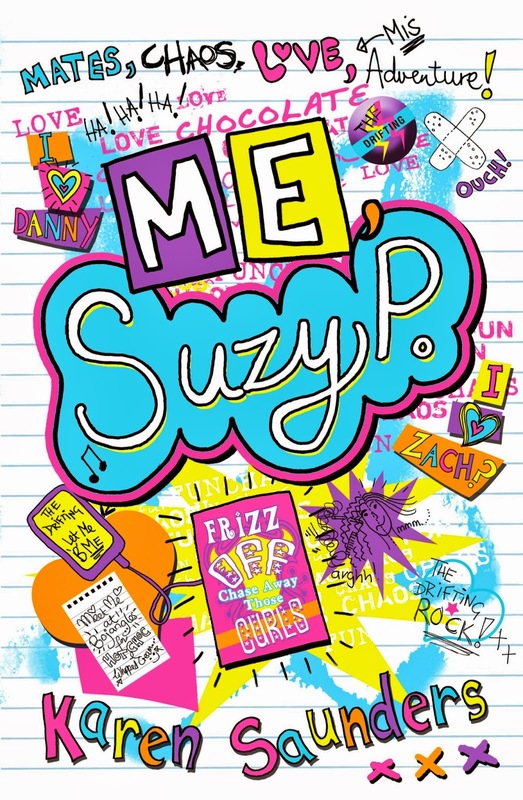 With likeable characters (except Zach...grr) and a relateable plot, 'Me, Suzy P' is great for those rainy days where you just want to snuggle up with a good book! It doesn't matter if you only have ten minutes to fit in some reading before you have to go out or something, you won't be able to resist reading the whole book in one sitting. It wasn't over-the-top-spectacular but it's a fun read that you won't be able to put down. Plus, the cover is gorgeous. Now I'm eagerly anticipating the next book in the series! Yep, Karen told me in an interview I did with her which will be up soon. Glad you enjoyed Me, Suzy P! Thanks, I can't wait either! I really love the cover of this one, it's super fabulous :3 I loved the review by the way, Amber! I haven't read this, though I want to and I interviewed her for the UKYA blog tour. She's lovely, isn't she? Awesome review Amber! UKYA blog tour? Why haven't I heard of this? And thank you!